Foreword Katherine L. Jansen. Introduction: Where Sacred Meets Secular: The Many Conflicted Roles of Mary Magdalene Peter Loewen and Robin Waugh Part I: Roles in Development 1. Apostle to the Apostles: The Complexity of Medieval Preaching about Mary Magdalene Larissa Juliet Taylor 2. The Proto-Cistercian Office for Mary Magdalene and Its Changes in the Course of the Twelfth Century Alicia Scarcez 3. The Invention and Development of the ‘Secular’ Mary Magdalene in Late Renaissance Florentine Painting Heidi Hornik Part II: Roles in Tension 4.Mary Magdalene as a Model of Devotion, Penitence, and Authority in The Gospels of Henry the Lion and MatildaElizabeth Monroe5. The Late Medieval Mary Magdalene: Sacredness, Otherness, and WildnessJoana Antunes6.Challenging Cluny in England? : Effacing the Priest in the Magdalene Liturgies at Lewes and PontefractDonna Alfano Bussell Part III: Mary Magdalene’s Roles in Action 7. From Apostola Apostolorum to Provençal Evangelist: On the Evolution of a Medieval Motif for Mary MagdaleneDiane Apostolos-Cappadona 8. Mary Magdalene Converts Her Vanities Through Song: Signs of Franciscan Spirituality and Preaching in Late-Medieval German DramaPeter Loewen9. 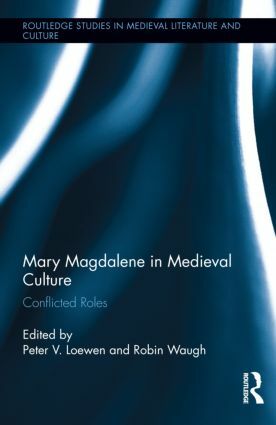 `I wolde I wer as worthy to ben sekyr of thy lofe as Mary Mawdelyn was:’ The Magdalene as an Authorizing Tool in the Book of Margery KempeJuliette Vuille Part IV: Mary Magdalene’s Proto-feminist and other Subversive Roles 10. The Voice of the Heart in a Box in the Middle English Lamentation of Mary MagdaleneRobin Waugh 11. ‘Now is aloft þat late was ondyr!’: Enclosure, Liberation, and Spatial Semantics in the Digby Mary Magdalene Play Joanne Findon12. The Singing Prophetess: Mary of Magdala in J. S. Bach’s St. Matthew Passion Corinna Herr.Afterword Theresa Coletti. Peter V. Loewen is Associate Professor of musicology at Rice University. He is the author of Music in Early Franciscan Thought (2013), and articles concerning Mary Magdalene in From the Margins 2: Women of the New Testament and their Afterlives (2009); and in Speculum (July 2007), co-authored by Robin Waugh. Robin Waugh specializes in Old English, Middle English, and Old Norse literature, and is Coordinator of Medieval Studies at Wilfrid Laurier University. He is the author of The Genre of Medieval Patience Literature, co-editor of another book, and has published articles in Modern Philology, Comparative Literature, JEGP, Philological Quarterly, and Speculum.